It’s orchid show season and no one gets it off with a bang better then The New York Botanical Garden. 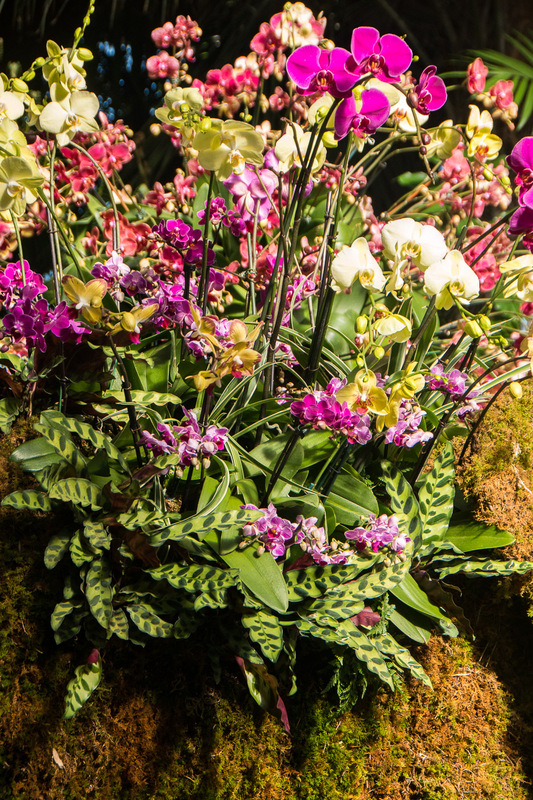 This year’s Bacchanalia of flowers, which opens to the public February 18th and continues through April 9th, is themed for Thailand, and celebrates its rich orchid flora and horticultural industry. 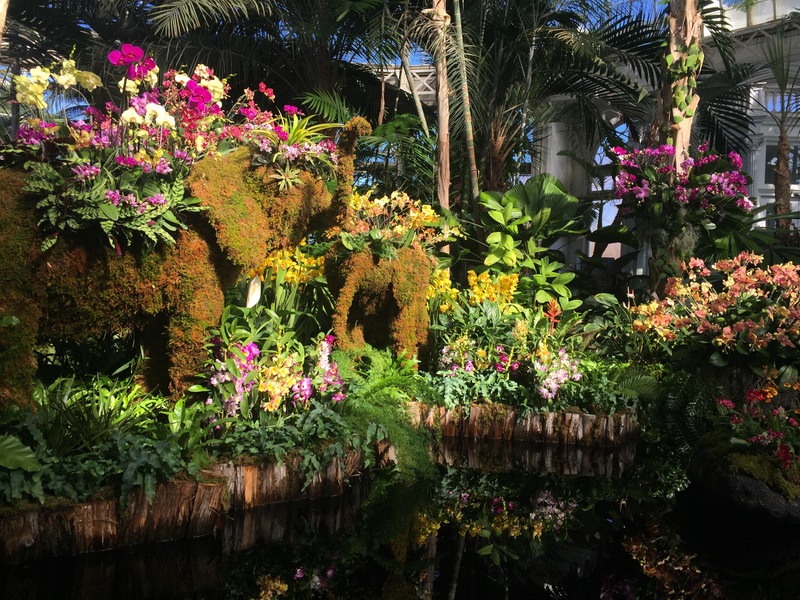 The Enid A. Haupt conservatory explodes into color, beginning in its Palms of the World Gallery where topiary elephants are decorated with orchids rather than the paint Thai people use in their celebrations. Elephants (Elephas maximus indicus) are the national symbol of Thailand and a significant cultural icon. 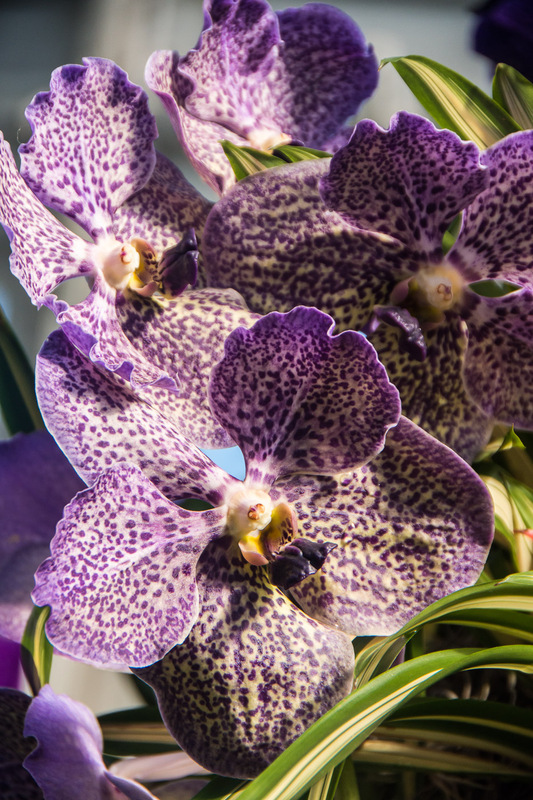 Thailand is a world center for commercial orchid growing and breeding, and the show highlights many of its contributions to orchid horticulture. Most noticeable are Vanda cultivars and their close relatives. 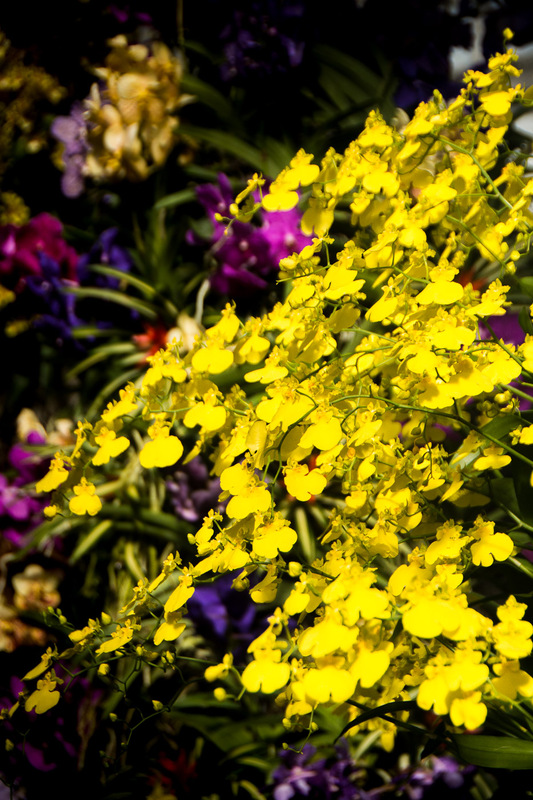 Popular for years, breeding has intensified the range of color and size of flowers. Two of these eye-catching cultivars (sorry, they were sans-label) are found on the twin pillars of Vanda found in the Seasonal Exhibition Gallery where most of the show unfolds. The show doesn’t shy from that darling of the home orchid grower, Phalaenopsis which are found liberally throughout the venue, most notably when they are massed with others of their lineage for impact. The first orchid for many indoor gardener, these “moths’ are blessedly easy to grow and are widely available. Phalaenopsis cvs. displayed en masse. Orchid shows are eagerly awaited by botanical garden visitors. Coming, as they do, in the weeks that usually mark the deepest doldrums of winter, they provoke a nearly drunken revelry in the anticipation of spring. 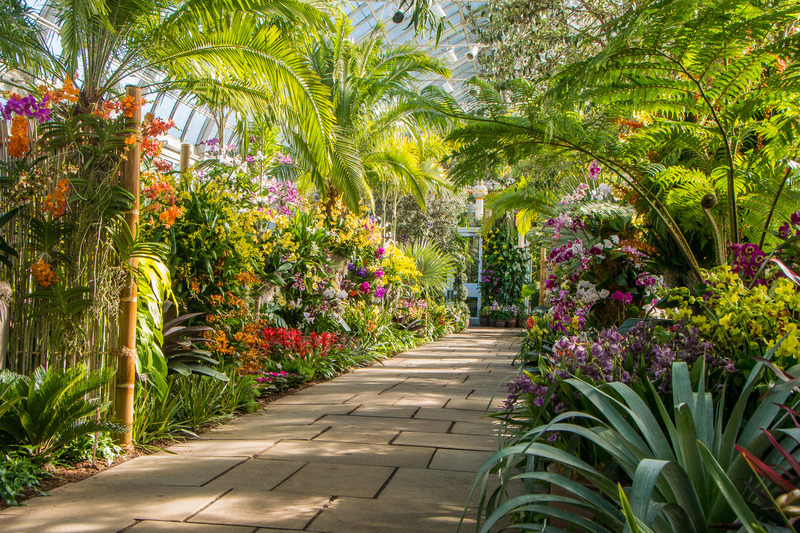 NYBG’s floral detonation is clearly calculated to treat seasonal affective disorder. Solar yellow flowers vanquish the ice and snow of February and lull the viewer better than any groundhog, into believing that spring is just around the bend. 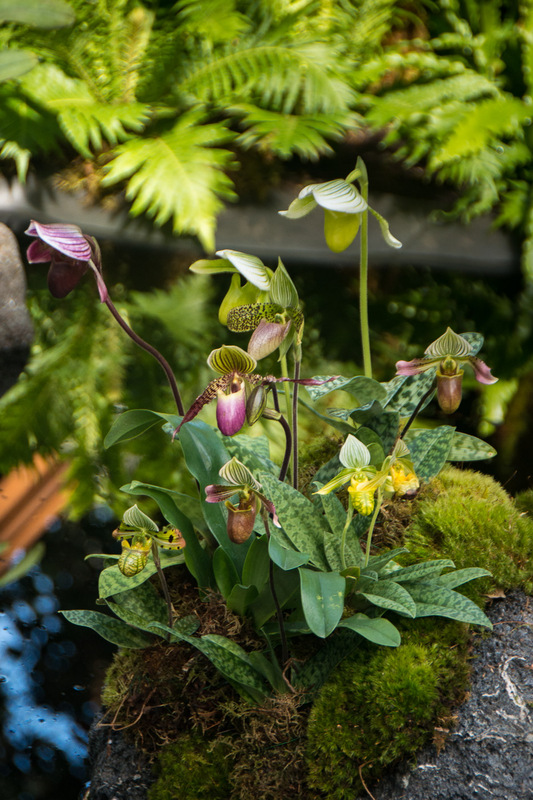 Those with more tender eyes will find less blinding offerings available, including displays artfully blended into the conservatory’s permanent collections and vignettes tucked hither and yon and calculated to appeal to discerning orchid fans. “Wow” takes a backseat in these areas providing a brief opportunity for the eye to rest before continuing the journey. Cultural references are scattered throughout the show, including lanterns–which should light up the display romantically for the garden’s “Orchid Evening” events (for more information on NYBG’s slate of events including films, dance, tours, demonstrations, and orchid how-to, visit www.nybg.org)–and the centerpiece of the exhibit. Located at the terminus of the show, a façade festooned with orchids brings to mind the traditional pavilions of Thailand, salas, where people gathered to relax out of the sun. Kudos to the staff for what will undoubtedly become another huge hit. 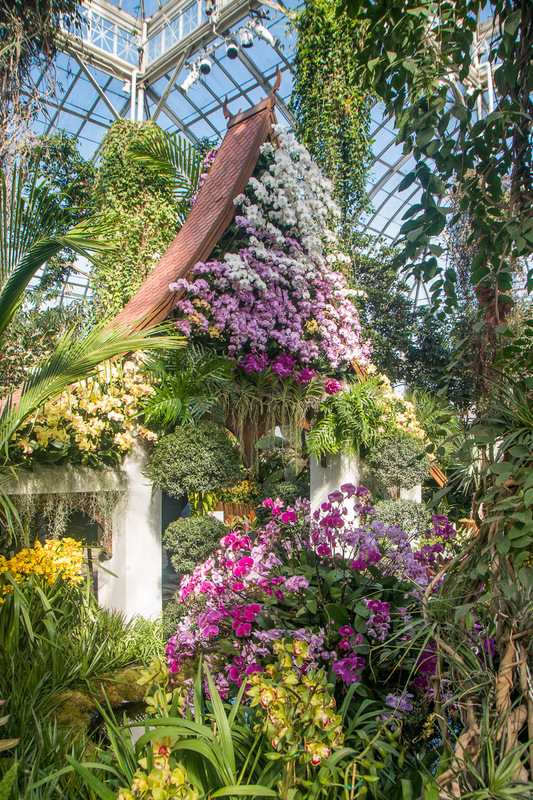 It takes a small army, time, and a lot of effort to put together a show of this magnitude and the curators and gardeners of NYBG do it every year–and as part of a seasonal schedule of major exhibitions. The exhibition galleries are stripped down to their skeleton of permanent plantings and thousands of orchids and supporting plants are sourced, secured and sited to bring to life a design that originated just after last year’s show closed and made way for the annual spring exhibit. 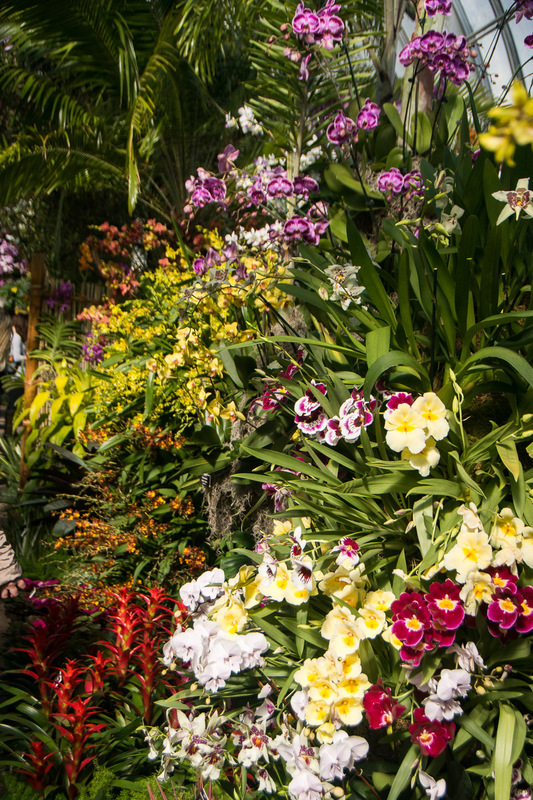 NYBG’s orchid show is one of its biggest draws of the year bringing in tens of thousands of people. 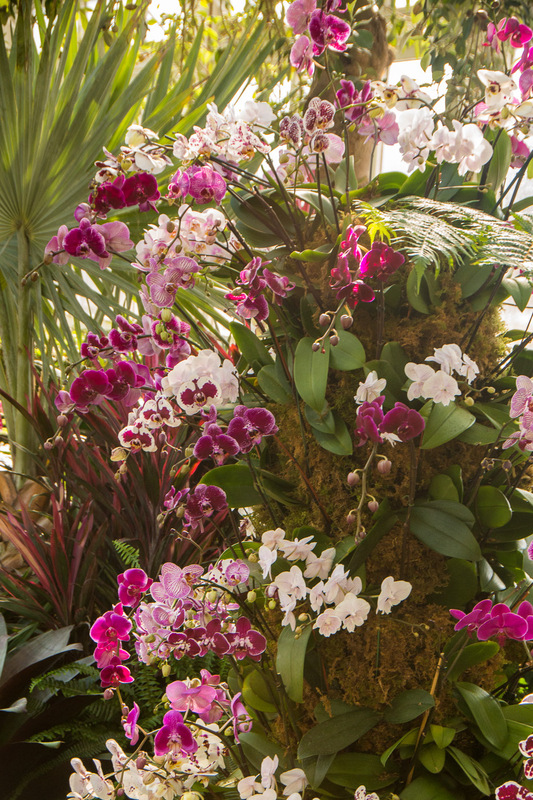 It also provides the best opportunity to purchase orchids of your own at the NYBG Shop where hundreds of special plants are being made available. And since you’ll be fully in the swing, Thai food will be available at the garden’s restaurants. Advance planning will maximize your botanical garden experience–and, amazing as it sounds, things are beginning to flower outside as well! Plan to spend the day…. The walk back is just as beautiful as the walk in! 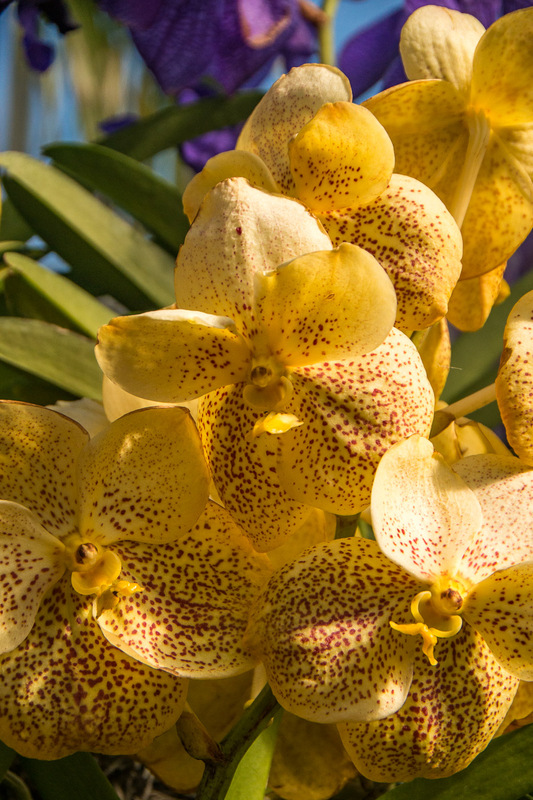 Support YOUR botanical garden by visiting The Orchid Show: Thailand. 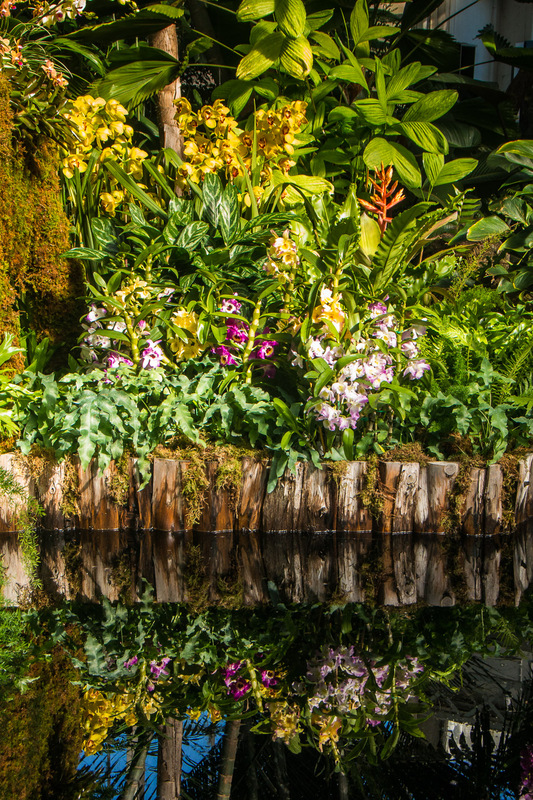 Places like The New York Botanical Garden are more important now than ever. That such a jewel was snugged inside a growing New York City 125 years ago is mind-boggling and visionary. Be part of it–and the fine work they do.